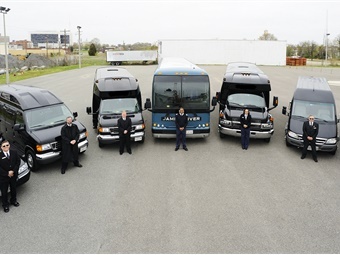 Following 9/11 and the economic downturn in the mid-2000s, many motorcoach operators began to diversify their businesses beyond just tour and charter. The key reason for this shift was to create additional revenue streams that could help provide balance if one piece of a business is down. “One big reason we wanted to diversify is that we just didn’t want all of our eggs in one basket, so to speak, because the revenue could go away if there’s a terrorist attack or you lose a particular client,” says Stephen Story, president of James River Transportation in Richmond, Va.
METRO spoke to some operators who successfully diversified their businesses to find out what they did and how they did it. With business down slightly in the mid-2000s, Indian Trails began the diversification process by launching the Michigan Flyer airport service between East Lansing, Ann Arbor and Detroit Metropolitan Airport in 2006. The service started with eight scheduled trips and carried about 40 passengers a day. Now 10 years in, the Michigan Flyer runs 12 round trips a day from East Lansing and 13 from Ann Arbor, carrying about 220,000 a year. In addition to providing transportation to and from the airport, the service grew into a commuter system, carrying students, professors and staff between Michigan State University (MSU) in East Lansing and the University of Michigan in Ann Arbor. “That was the first big, risky diversification we went into, but I’d say it’s definitely paid off now,” says Chad Cushman, president of Indian Trails. Building on that success, Indian Trails got into contract shuttles in 2007, landing a contract providing transit services for Western Michigan University (WMU). Now in its ninth year, Bronco Transit provides 650,000 rides per year and has become a significant part of Indian Trails’ business, Cushman explains. It’s also become one of the selling points the university uses to recruit students. Through the success of both Michigan Flyer and Bronco Transit, Indian Trails built visibility and has begun landing shuttle contracts for apartment complexes near WMU in Kalamazoo and MSU in East Lansing, providing private transportation services to and from the two campuses. While Indian Trails was able to land new work through both visibility and consistency, it was its willingness to take chances that helped it prepare to take advantage of the opportunities as they became available. After purchasing the operation in 1992, Premier Coach, which at the time had a fleet of three coaches, began to aggressively locate potential customers and go after some key contracts, eventually landing a contract with Amtrak to run regular daily service. “That was instrumental because it gave us a real base of revenue that was ongoing and not dependent upon the student travel season or fall colors or anything like that,” says Premier’s Sales Manager/Asst. GM, Chip Desautels. In addition to its home base in Milton, Premier now has garage and maintenance facilities in two other states and has recently found success in collegiate athletics. All told, Premier has contracts in place with 20 colleges and universities from upstate New York to the sea coast of New Hampshire. Most recently, Premier began providing shuttle services for one of its collegiate accounts, transporting faculty and employees from satellite parking lots to campus five days a week from 6 a.m. to 9:30 p.m.
Another side benefit of that specific contract is that it increased utilization of Premier’s equipment Monday through Thursday — typically their slowest days of the year on a year-round basis, according to Desautels. When looking to land new contracts for work, Desautels says that while it’s important to understand the expected operational costs, it may be even more important to provide a buffer when settling on a price. By finding the right buffer and staying flexible to make changes, Desautels says it helps build a relationship with a customer, particularly its college clientele who are often looking for somebody to provide transportation services on or around campus. In addition to charters and casino runs, Easton Coach Co. has landed college and university contracts, shuttle work, and transit and paratransit jobs in its service area. 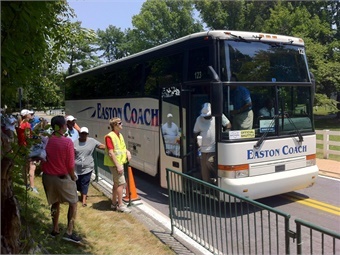 After purchasing the company in 2002, Easton Coach Co. soon began delving further into providing paratransit services for local transit agencies. Today, the company has more than 10 transit and paratransit contracts and over 350 vehicles in service for several different transit agencies located around the region, including the Southeastern Pennsylvania Transportation Authority and the Lehigh and Northampton Transportation Authority. Joe Scott, president/CEO for Easton Coach, says the company’s decision to diversify has helped make the operation more stable. In addition to charters and casino runs, Easton also has some college and university contracts, one of which recently helped land him a shuttle service contract with a local business by simply being seen out on the road. To prepare to move into new markets or lines of work, Scott says his operation relies on its past experience, learning from experiences it has had providing similar services and spending significant time understanding the work it is bidding on. James River Transportation has diversified into a full-service ground transportation company. Realizing it wasn’t a good idea as a company to put all their eggs in one basket, James River Transportation decided it would go after more stable, Monday-through-Friday contract work. To that end, the company began going after that business and landing contracts. By 2001, Story explains that the company believed they were ready for their expansion and diversification efforts to come to an end, however, James River decided to purchase another company, which helped them better fill car services to and from the airport. 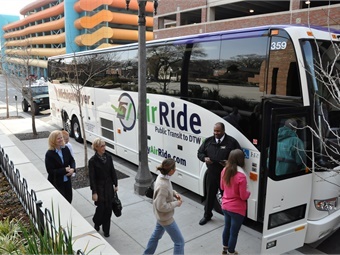 The most recent piece of business James River has developed is private corporate commuter service for a major company in its service area, providing trips from hubs as close as 10 miles away and as far as 110 miles away. 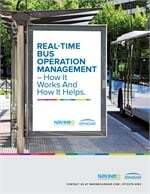 Story credits his operation’s success diversifying through working with peers in 20 Groups and the International Motor Coach Group, where operators share information with one another.